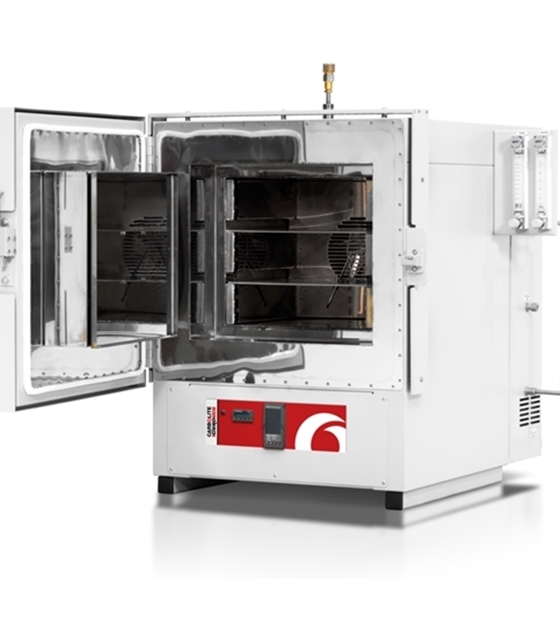 The Carbolite HTMA Controlled Atmosphere Ovens are a range of modified atmosphere high temperature ovens for use with inert atmospheres up to 700°C. 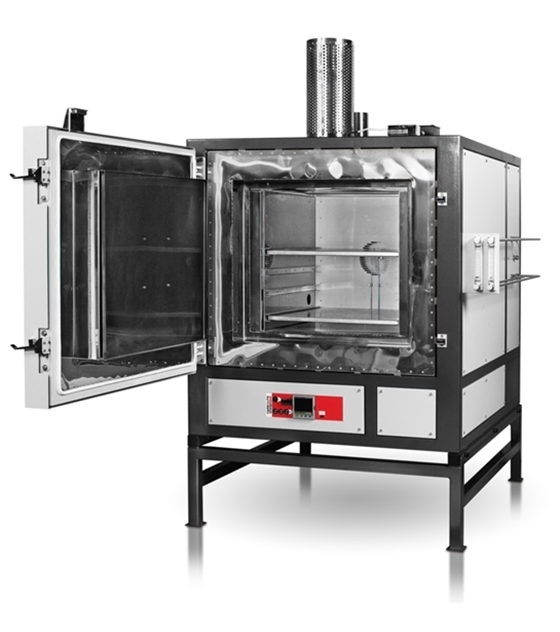 Separate flow controls for purge and process gases mean that once the chamber has been purged of atmospheric air process gas can be used with lower flow rates. Switching between purge and process gases can either be done manually or by adding the option of an automatic programmable control system. Oxygen levels down to 50 ppm are achievable.